Description: Ben Kenobi, though deceased, is remembered fondly by Chewbacca; who knew the man and had great respect for him. 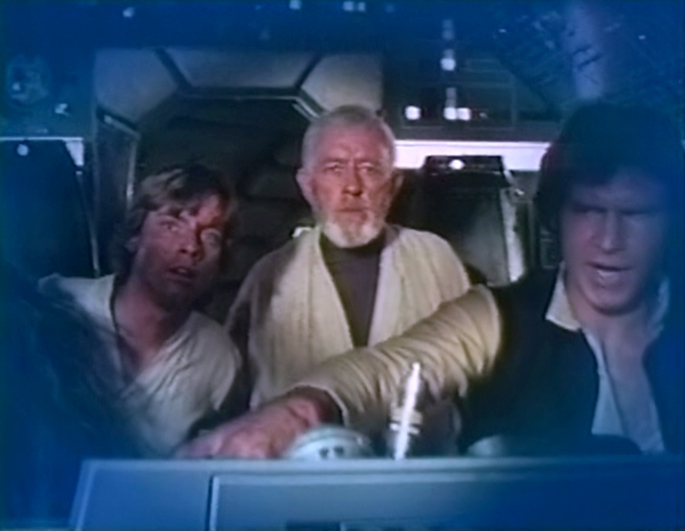 More on this relationship was revealed in the prequels and other stories. 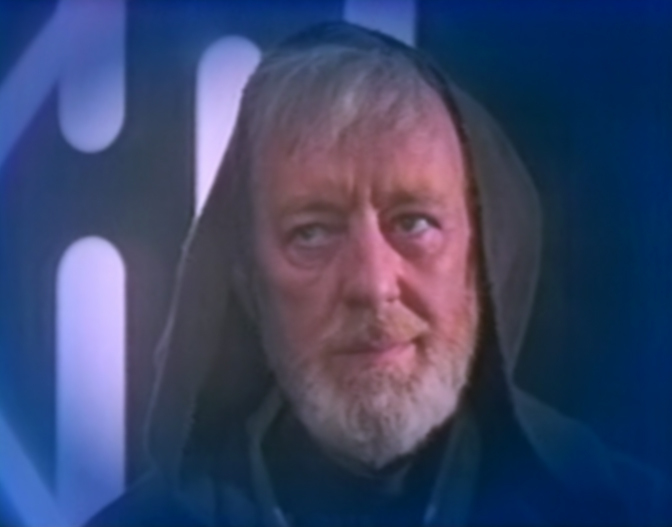 Details: Though technically Ben Kenobi is not a character in The Star Wars Holiday Special, he does make a couple of appearances in Chewbacca’s memory flashbacks during the Life Day Ceremony at the end. 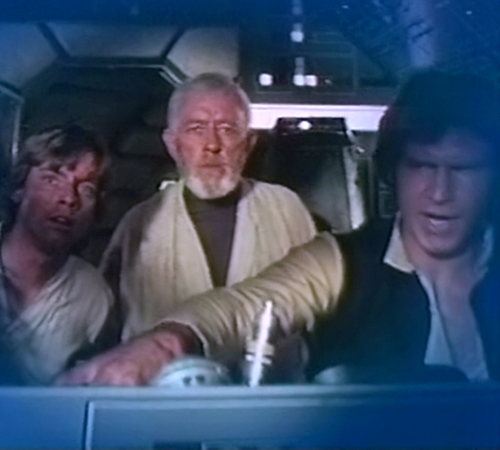 The flashbacks were scenes from A New Hope. 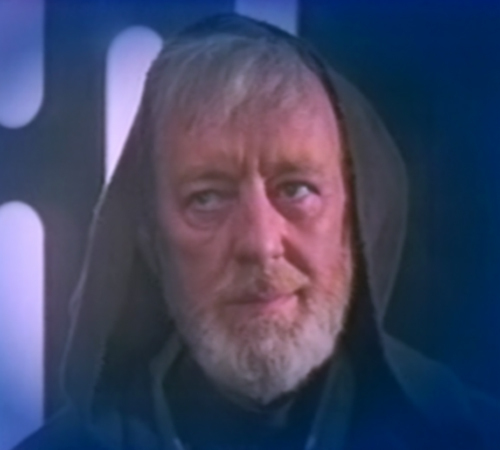 So although Alec Guiness did not star in The Star Wars Holiday Special, he still managed to be in there anyway.